Current opportunities at the National Institute of Standards and Technology (NIST) in the Advanced Network Technologies Division (ANTD) at its Gaithersburg MD campus. ANTD is part of NIST'sInformation Technology Laboratory (ITL). For a quick overview of "What is NIST?" and what it is like to work here, see Careers@NIST and/or explore the NIST social media portal. For a quick overview of NIST's Information Technology Laboratory. To explore life at NIST for students and visiting researchers, see NIST Guest Researchers Association. Contact antd-opportunity@nist.gov to learn more, or discuss applying for any of the opportunities listed below. Senior/research oriented applicants should consult our current areas of research . Applications for new junior & senior level Network Research Positions are always accepted. See below. Applications for 2018 summer Pathways internship positions will be posted in January. See below . Now accepting applications for 2018 visiting guest researcher positions. See below . Applications for 2018 NRC PostDocs must be completed by February 2018. See below . 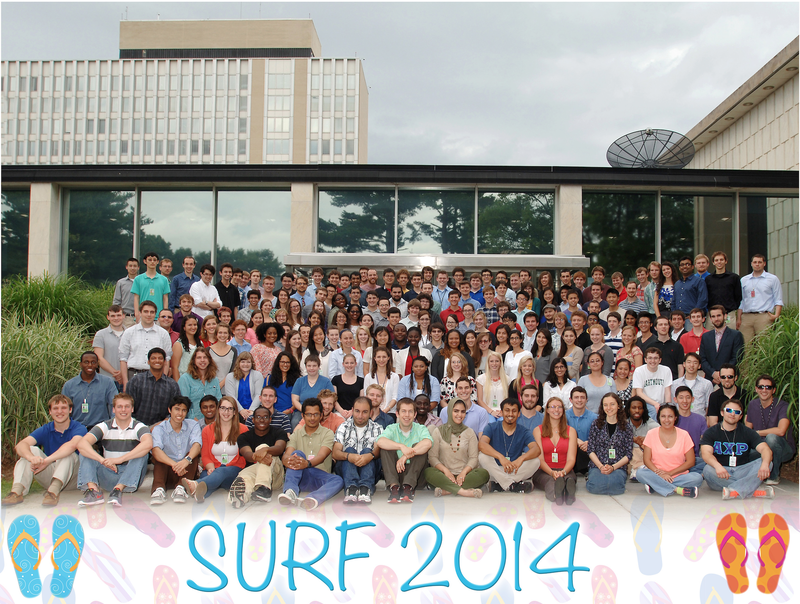 Applications for 2018 SURF - Summer Undergraduate Research Fellowships will be posted ~January 2018. See below . Small Business Innovation Research (SBIR) grant solicitation for 2018 will be posted in the fall. See below . Measurement Science and Engineering (MSE) research grants information. See below . Full-Time Staff Positions - Open to U.S. citizens. Specific current vacancies will be posted on the USAJobs site (search in location 20899). We are always interested in being contacted by outstanding candidates with interests or experience in the topic areas described below. See general information (pay, benefits, work-life programs etc) on Careers at NIST. ANTD anticipates is always looking for highly motivated candidates who can contribute to NIST’s research and development projects that the design, model, analyze, prototype, test, measure and standardize cutting-edge technologies for advanced networking and distributed information systems. New employees will contribute to NIST research through design and analysis, development of software, design, and execution of modeling and measurement experiments, data analysis and visualization, publishing research results and participating in consensus standards development processes. In FY18 we anticipate a few openings for Computer Scientists, Electronics Engineers, Mathematicians, and Computer Engineers at the Entry, Junior, and Senior levels. Anticipated needs of specific programs are outlined below. Senior levels positions would require demonstrated research expertise in the areas listed, Junior and Entry levels positions would require demonstrated interest and ability to contribute to the program of work. We are always accepting applications for highly motivated candidates! If interested contact antd-opportunity@nist.gov to start the conversation about your career at NIST/ANTD. Faculty Appointments - NIST employs faculty staff from academia. Individuals hired are given a one-year, excepted service appointment which can be renewed. Employment may last through the summer only or throughout the year. Typical working arrangements are full-time for sabbaticals and summers, or part-time through the academic year. Potential applicants should contact antd-opportunity@nist.gov with their detailed resume / curriculum vitae and a brief statement of your interests in one or more of the topics below. NRC Postdoctoral Research Associateships - Open to U.S. citizens (non-citizen postdocs, see Foreign Guest Research below). Candidates and their research proposals are evaluated in a competitive process managed by the National Research Council (NRC) Associateship Programs. Application deadlines are typically February 1 and August 1. These two-year postdoctoral appointments commence within one year of selection. Areas of interest include but are not limited to the topics described below. Potential applicants are strongly encouraged to discuss potential proposals with the listed advisers well before submission. Pathways Internships for Students & Recent Graduates - Open to U.S. Citizens, paid (~$23K to ~$78K) internships for current undergraduate and graduate students and recent (2 years) graduates. Typical appointments are for 1 year and are expected to be full-time positions during the summer (June-August). In some cases, students can continue to work as interns during the school year as NIST resources and intern availability permit. Applications for internships are typically accepted in early fall and early spring. See the NIST Student Employment site for general details on requirements, benefits, and opportunities to transition to full-time positions. Typically interns work under the direction of senior computer scientists to research, model, prototype, test and measure emerging technologies for advanced networking and distributed information systems. Interns contribute to NIST network research through the development of software, design, and execution of modeling and measurement experiments, data analysis and visualization, and documenting/publishing research results. Note: CyberCorps Scholarship for Service (SFS) students, NIST internships count toward your required Federal service. ANTD anticipates hiring several Computer Science / Electrical Engineering / Mathematics Interns for summer 2018. The first round of summer Pathway internship applications has closed! A second round will be posted in early 2018. There will be a second application opportunity for summer computer science Interns in Jan-March time frame. Students who wish to apply to the second opportunity should review the application process from the last call prepare their USAJobs profiles in advance. Undergraduate Students use the application below to apply for the ZP-1 level and select Advanced Network Technologies Division (ANTD). Graduate Students use the application below to apply for both the ZP-1 and ZP-2 positions and select Advanced Network Technologies Division (ANTD). Students not currently enrolled in a college-level computer science/engineering related program use the application below to apply and select Advanced Network Technologies Division (ANTD). Carefully follow the application instructions and include all requested documents. You will not be notified if you forget! Apply to both of the positions (Computer Science and Information Technology) if there is any question about your qualifications. In addition to the application process above, please contact antd-opportunity@nist.gov to start the conversation about your internship at NIST/ANTD (and allow us to be on the lookout for your application). Summer Under Graduate Research Fellowships (SURF) - A summer undergraduate research internship with stipends ($5,500 in 2016) and housing and travel allotments (as needed). Topics areas and desirable skills / interests for SURF projects will be similar to those described below. SURF projects will be scoped to match the experience level of the participants and the time frame (11 weeks) of the program. See video on the SURF experience. Often the SURF experience positions students well to pursue MSE grants in their graduate careers. The application process for the summer 2018 SURF will be posted on the SURF Program site ~ January 2018. Application deadline is typically mid-February! Note, your university deadline might be earlier!!! Domestic / Foreign Guest Research Positions - Several guest researcher appointments ranging from 1 to 5 years with, with stipends from $3,600 to $4,500 per month (for those without support from their home organization) are available. Topic areas and desirable skills/interests are described below. Applicants are currently sought for new guest researcher positions with appointments to begin in the January - June 2018 time frame. Minimum appointment is 1 year, maximum appointment is 5 years. Measurement Science and Engineering (MSE) Research Grants - The call for proposals typically goes out early in the calendar year with short (~2 month) submission deadline. Topics of interest to ANTD are listed below. Potential applicants are strongly encouraged to contact ANTD staff to discuss potential topics, before submitting proposals. The FY18 call for proposals has not been published, but we can still accept applications under the FY17 call for proposals. MSE grant proposals are accepted and evaluated on a rolling basis, but must be received at NIST by June 1, 2018 to be funded in FY18. Other example ITL awarded MSE grants. The FY18 SBIR Solicitation will be issued in January 2018. See the NIST SBIR site for application details. In FY15 we had two SBIR Phase-II projects funded, continuing to build on the FY14 Phase-I awards below. In FY14 we had two SBIR awards for ANTD collaborative projects in support of the Robust Inter-Domain Routing and High Assurance Domains projects below. For more examples see the list of SBIR Past Awards. Robust Inter-Domain Routing Project - Seeks researchers / students with interests in global Internet routing security and robustness, Border Gateway Protocol (BGP), measurement monitoring and analysis of global BGP behavior, BGP security and performance issues, and next-generation routing architectures. Specific desirable experience: IETF RPKI / BGPSEC specifications, analysis of Routeviews / RIPE RIS data, software development on open source router platforms (Quagga, BIRD, etc), protocol development in C, use of cryptographic libraries, cryptographic acceleration. High-Assurance Domains Project - Seeks researchers / students with interests in Domain Name System (DNS) technologies, DNSSec security protocols, IETF DANE technologies to leverage the DNS as a key discovery and management infrastructure, use of DANE and other DNSSEC enabled technologies, X.509/PKIX certificate technologies, TLS / SSL implementation, and SMIME / PGP email security protocols. Specific desirable experience: python and java development of network protocols, web development with AJAX, browser extension/plugin technologies, or email user agent development. Network Anomaly Detection / Traffic Modeling / Synthetic Traffic Generation Project - Seeks researchers / students with interests in: network anomaly detection, network intrusion detection, synthetic traffic generation, statistical modeling of network traffic, machine learning, test and instrumentation of NAD/NID systems. Specific desirable experience: SiLK traffic analysis tools, NAD/NID design, and development, multi-dimensional statistical analysis of Internet-scale network traffic. Software Defined and Virtual Networks Project - Seeks researchers / students with interests in: network virtualization, network service function chaining, software defined networks, technologies and techniques to address robustness safety and security of virtualized network services, novel applications of NFV/SDN to domains such as network security and intrusion detection, support of machine to machine communications, support of advanced mobility and cloud computing. Specific desirable experience: development with open source SDN/NFV platforms such as OpenDayLight and Openflow, simulation and emulation modeling environments for SDN / NFV technologies. Measurement Science of Complex Networks Project - Seeks researchers / students with interests in: research and development of techniques to measure, predict and control macroscopic / emergent behavior in complex information systems, modeling and analysis techniques to characterize Internet-scale networks and distributed systems, use of genetic algorithms to search for rare events, and runtime techniques to predict phase transitions in system behavior. Specific desirable experience: simulation modeling with SLX, statistical experiment design and data analysis techniques for large-scale systems, network measurement, and monitoring technologies. Advanced DDoS Mitigation Techniques Project- Seeks guest researchers / students with interests in: new techniques and systems to detect and mitigate large-scale distributed denial of service (DDoS) attacks, tractable means to prevent the exchange of spoofed data and control traffic, techniques to address DDoS attacks in virtualized network and computing architectures, and techniques to measure and monitor the effectiveness of DDoS mitigation techniques. 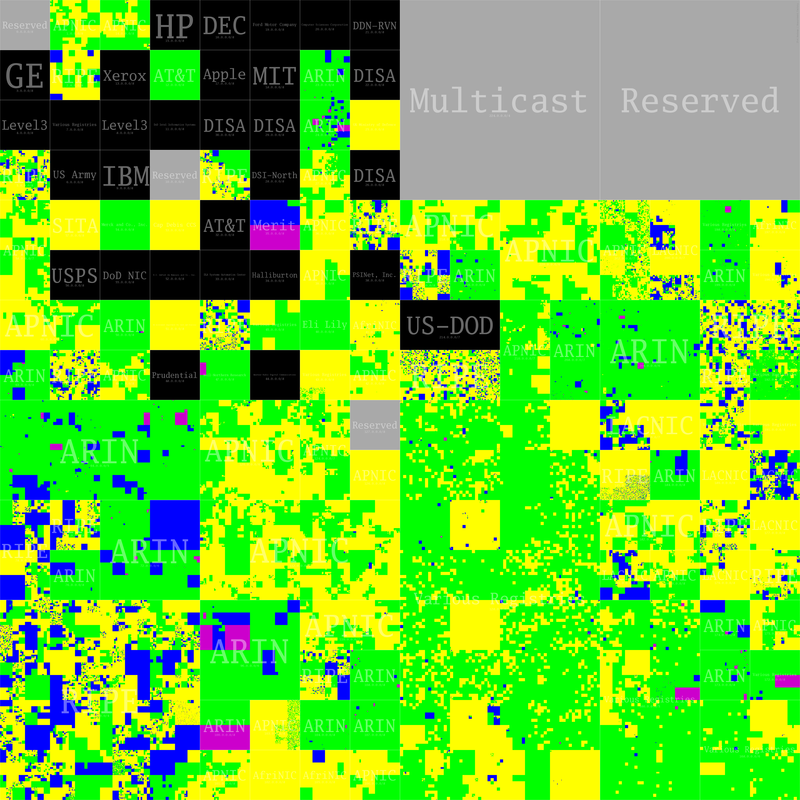 Specific desirable experience: measurement and analysis of IP spoofing mechanisms at Internet scales. Networks of Things – Seeking research / students with interests in: test and measurement techniques for prediction, validation, and understanding of the properties of NoTs, and the application of emerging network technologies (e.g., software defined networking, cloud architectures, network virtualization) to NoTs. Specific desirable experience: simulation/emulation of NoTs, NoTs testbed development, NoTs wireless and wired network technologies, and NoTs application domains including smart buildings, intelligent transportation, and critical infrastructure protection. Next Generation Internet Architectures - Seeks researchers / students with interests in next-generation network architectures, including fundamentally new approaches to content delivery, service architectures, management and control, security and privacy, disruption tolerant networking, and handling of mobility. Particular interest in measurement and modeling techniques that enable quantitative comparisons between significant NGIA proposals emerging from the academic research community. Specific desirable experience: simulation / emulation modeling of Information Centric Networking architectures, CCNx and other prototype ICN systems. See the complete list of current ANTD projects for other topic areas. Typical program lifecycle and ANTD roles.